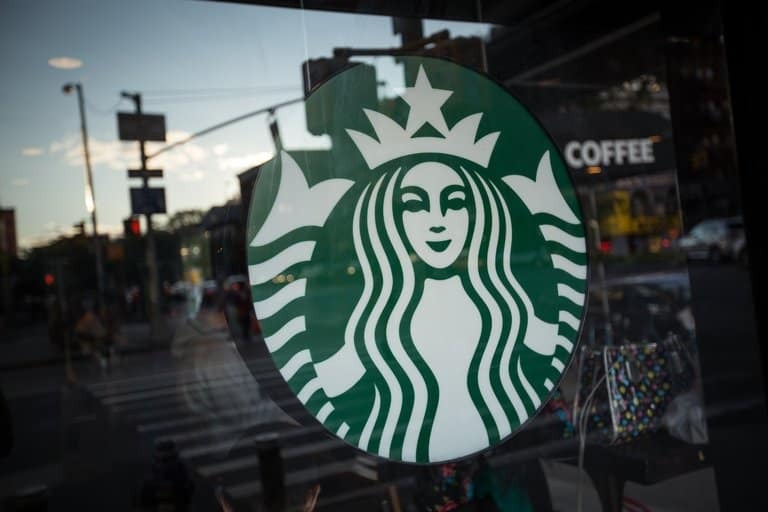 Starbucks began the week by marking the end of their online store. Pretty huge news for fans of one of the biggest coffee chains, but a move in the right direction - in our humble opinion. The reason behind the complete removal of their online store is in favour of building upon in-store experiences; furthering the relationship between brand and customer in real-time. 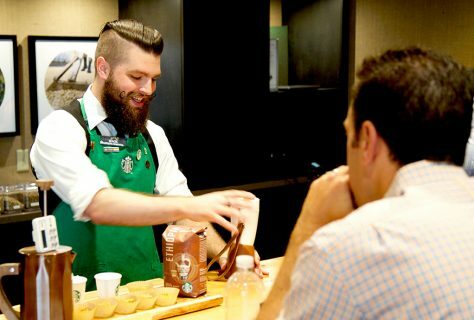 And with so many articles (our own included) discussing the ultimate benefits of brick-and-mortar retail, Starbucks has taken great steps to solidify this experience-led trend. IS THIS SUCH SHOCKING NEWS? We won’t argue that this isn’t big news, but shocking? Not so much. The infamous coffee brand has done nothing but show us time and time again that they 100% value the personal approach when it comes to retail. 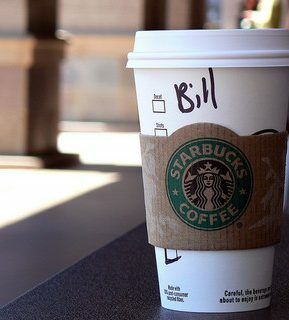 Back in 2012, Starbucks initiated the ‘hi, how are you doing’ intro from friendly baristas, quickly followed by the addition of names to coffee cups. With these small but substantial tweaks, the store visit quickly ramped-up from a quick coffee run to an in-store experience which invoked conversation and personality. As a side note, we've browsed a few articles discussing the reason behind misspelled names on coffee cups. Rumour has it that the baristas spell our names wrong in the hopes of instagram worthy posts, raising the social profile of the brand. Not sure if we believe this idea, or if it's purely barista error - but interesting all the same! Back to what we were saying! Essentially, whilst we hadn't foreseen the closure of the online store specifically, the decision to do so highlights Starbucks' next steps in favour of enriching the store experience. ARE THEY DITCHING TECHNOLOGY ALTOGETHER? As much as closing the online store seems like a step away from technology, this couldn’t be further from the truth. 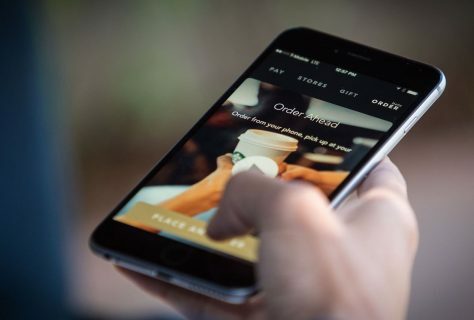 Mobile ordering is still a massive deal for Starbucks! Pre-ordering a coffee may quicken the experience that a consumer has with the store but it also integrates the digital experience with the store experience; a solution that technically savvy individuals of this day and age appreciate. They haven't looked towards an Amazon idealism of 'automate everything' but they also appeal to the tech-savvy consumer of today - the perfect harmony. 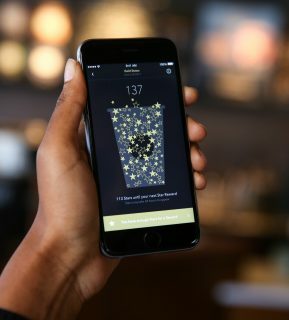 “Continued integration of these digital and mobile customer connections into our store experience is among the highest priorities for us, and to enhance that focus we’ve looked for ways to simplify our current efforts,” Starbucks spokesperson, Maggie Jantzen. Shuttering e-commerce channels hasn't left Starbucks bereft. Instead, they are focusing on their core as coffee experts: the coffee and the consumer. 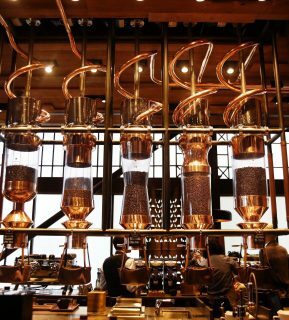 One of their latest ventures, the Starbucks Reserve has been classed as the "next wave of innovation" by Shultz. The store experience in Reserve is completely different to a regular Starbucks visit - it's pricier for sure. The design is totally up-scaled, the lighting creates a sultry mood, the experience is communal, the baristas are coffee experts. The only thing left is the coffee itself and in these Reserve stores, the coffee has become an education. These aren't flying visits, they are completely immersive experiences which build up the relationship between coffee and consumer - before the ultimate caffeine crash we assume! 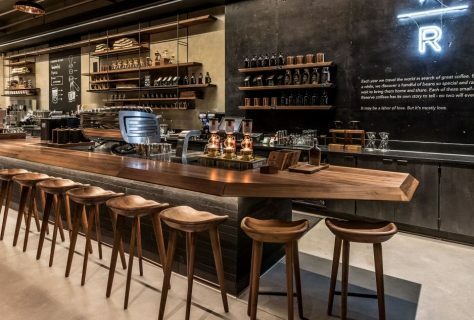 Whilst many Starbucks fans are saddened that they can no longer purchase syrups and other branded items online, the brand are choosing to intensify a customers devotion to coffee in a fresh environment. As retail designers, we're constantly aware of the changes in idealism when it comes to retail. A few years ago, every article claimed that technology was the future and brick-and-mortar was sure to die out. And then we saw it's ultimate resurgence, with online brands opening physical stores and pop-up shops becoming a key highstreet trend. So it goes without saying that trends can come and go, but we are totally behind Starbucks in their continued devotion to the personable experience. It's not that e-commerce has lost - albeit we do refer to this in our dramatic title - it is that the in-store experience can never be defeated. For the most part, we want to connect first-hand with a brand and it's ambassadors. Plus when it comes to coffee, we want that social edge to our purchasing. So for us, we see Starbucks taking a step in the right direction. But what do you think?